In the spring of 1944, on the eastern front of India near the Burmese border, the seemingly unstoppable Imperial Japanese Army suffered the worst defeat in its history at the hands of Lieutenant General William Slim’s British XIV Army, most of whose units were drawn from the little-esteemed Indian Army. Triumph at Imphal-Kohima tells the largely unknown story of how an army that Winston Churchill had once dismissed as “a welter of lassitude and inefficiency” came to achieve such an unlikely, unprecedented, and critical victory for the Allied forces in World War II. Long the British Empire’s strategic reserve, the Indian Army had been comprehensively defeated in Malaya and Burma in 1941–1943. Military historian Raymond Callahan chronicles the remarkable exercise in institutional transformation that remade the British Indian forces to reverse those losses. With the invaluable help of the American DC-3 on the Burma front, Slim overhauled the British XIV Army with the Imperial Japanese Army's strategic weaknesses in mind; namely, an utter disregard for logistics and an unrelenting addiction to the attack. Callahan shows how, on an enormous battlefield—over five hundred miles from north to south—the XIV Army surmounted the challenges of terrain, disease, wretched communication, and climate to draw the Imperial forces under Lieutenant General Mutaguchi Renya ever deeper into ever stronger British defensive arrays until the Japanese Army’s vaunted offensive aggression finally exhausted itself. 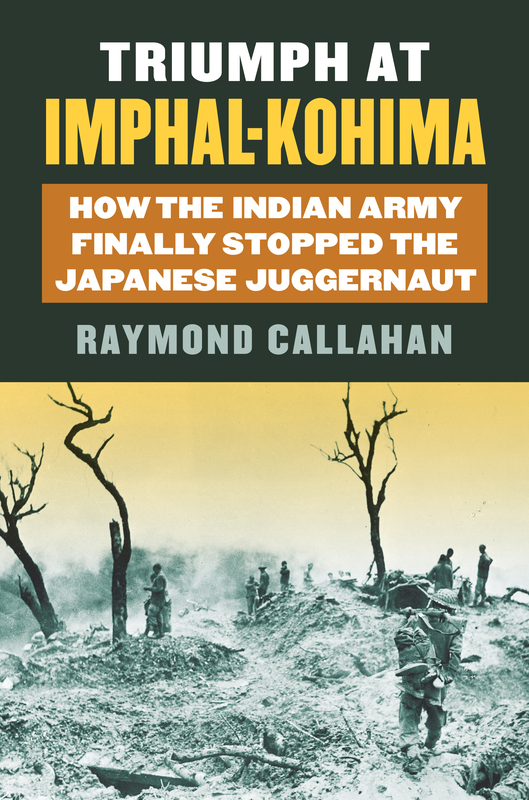 Following this epic battle from build-up to aftermath, this book brings overdue detailed attention to Lieutenant General William Slim’s handling of perhaps the most complex battle any Allied commander fought during World War II—and to the long-belittled British Indian Army that became the magnificent fighting force that triumphed at Imphal-Kohima and went on to reconquer Burma. Raymond Callahan is professor emeritus at the University of Delaware. His many books include The East India Company and Army Reform 1783–1798; Burma, 1942–1945; and, also from Kansas, Churchill and His Generals.